Finding the right psoriasis topical treatment for your level of psoriasis can be difficult as an incredible number of products and brands are available. The biggest decision will made by your doctor as they will be able to give you access to stronger topical treatments through prescriptions. If they’re happy for you to do so, you can also get hold of some strong creams over the counter at most drug stores. 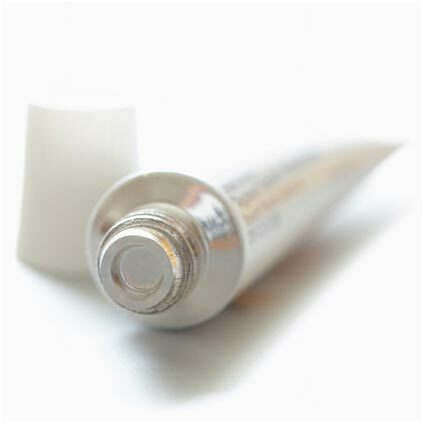 Corticosteroids – These creams are prescribed most commonly for mild to moderate cases of psoriasis. This will include symptoms like scaly skin and inflammation but things like lesions will require something stronger. Corticosteroids work by slowing the growth of skin cells to the affected areas of your body and providing soothing relief to inflamed areas. Typically, you will need to apply it twice a day to problem areas, but as with all steroids, your body slowly builds up immunity to the drugs. Calcitriol – This naturally occurring drug contains a form of vitamin D. Sunlight therapy is often used for treating psoriasis as the vitamin D helps to break down skin cells, so creams containing calcitriol will provide a higher concentration dose. It can be slightly caustic so your doctor will advise you to avoid sensitive areas like your lips and your eyes. Tazarotene – Tazarotene contains high levels of vitamin A derivatives that help to stop the local build up of skin cells in affected areas. It gets to work quickly, so you will begin to notice a difference inside a few weeks of using it. The high vitamin A levels will make your skin thinner and more susceptible to burning, so you will need to use a higher factor sunscreen in the summer months. For mild cases, buying an over the counter topical psoriasis treatment can be easier and cheaper than having repeat prescriptions and visits to the doctors. They tend to be less effective, but also have fewer side effects. Creams, lotions and shampoos that contain coal tar or salicylic acid are the most common over the counter treatments for psoriasis. Most steroid based treatments and all biologic drugs require a prescription, if not a health care professional to administer them. If you are a firm believer in homeopathy (Read more information here) or you are not big on slathering yourself in manmade chemicals, then finding natural topical remedies may soothe your conscience and your inflammation. One common and natural psoriasis topical treatment that have been FDA (US) or other countries, approved is anthralin, which is a naturally occurring medicine, derived from the bark of the araroba tree. It is one of the few lotions that can be left on overnight and it is an effective moisturizer on other areas of dry skin. It can cause staining especially on light colored cottons and hair on contact, so it is not appropriate for areas that are covered or for your scalp. You will need to have a lot of patience with each psoriasis topical treatment, as your skin type will dictate which ones are effective. Most people respond well to steroid based products but they can thin out your skin making you more susceptible to bruises and skin tears from stretching. Your doctor will run skin tests on you if you start using prescription creams, and you should also consult with your doctor before you start using any over the counter topical treatments.